​Two This Is Us stars seem to be in agreement over an internet fandom that wants them both to star in the rumored Green Lantern Corps film for the DC film universe, and it's probably one of the best casting options yet. Nothing is known about the Green Lantern Corps film set for release sometime in 2020 at all, as a ​previous rumor featuring Peter Jackson, of the Lord of the Rings fame, as the director was recently shot down, and the lead role or possibly, roles, as there are a couple Green Lanterns from Earth, is completely speculation. The two actors in question, Sterling K. Brown and Justin Hartley, haven't shied away from comic book roles in the past. Brown just appeared (and died) in Black Panther and Hartley was Smallville's Green Arrow. 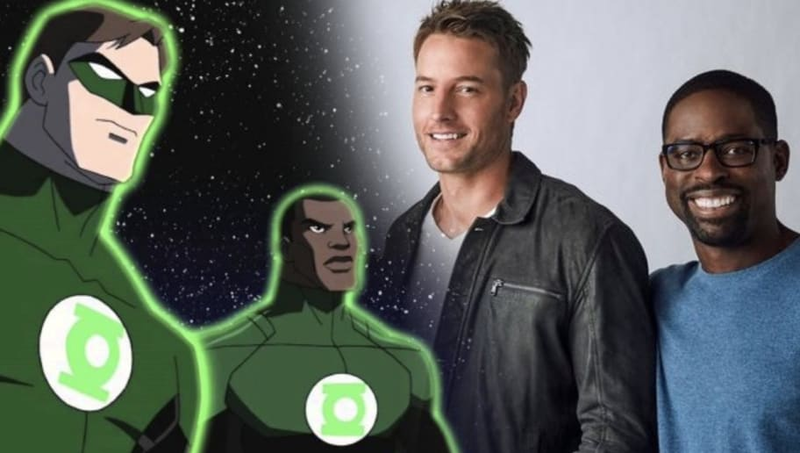 Brown has even expressed interested in the Green Lantern role before, tweeting out "Dear powers that be, if you are looking for someone to play John Stewart, I humbly submit my name." When the fan-led rumors recently resurfaced this week, Brown agreed once more, with Hartley now chiming in "if the suit fits..."
They already have great screen chemistry from This Is Us, so maybe a cosmic superhero outing would fit just as well.